August 10, 2017 Representatives of the US Council of Muslim Organizations (USCMO), a coalition of leading national and local American Muslim organizations, met yesterday with State Department officials to discuss the ongoing Al-Aqsa Mosque crisis and Israel’s denial of religious freedom in Jerusalem, which is holy to the three Abrahamic faiths. During the meeting at the State Department, the delegation highlighted the religious significance of Jerusalem and the Al Aqsa mosque sanctuary – Islam’s third holiest site — for the world’s 1.7 billion Muslim, including the 6 million Muslims residing in the United States. Officials assured the group the United States is committed to maintaining the safety and security of worshipers in Jerusalem. Two weeks of peaceful Palestinian protests and international pressure in July forced Israeli authorities to remove surveillance cameras they had installed at the gates to Al Aqsa. Palestinians and Muslims worldwide remain concerned about Israel’s denial of religious rights for Muslims and Christians, and the ongoing Israeli effort to alter the religious landscape of Jerusalem. ‘While we’re glad the security cameras and checkpoints were removed from outside Al Aqsa, Israel’s occupation is still firmly in place,’ said Dr. Osama Abuirshaid, AMP national policy director and USCMO board member. ‘When we articulate our position to the State Department it informs them that there are thousands of Americans demanding a more fair and balanced foreign policy in the Middle East. USCMO member organizations represented at the meeting included Oussama Jammal, Secretary General of USCMO; Osama abuIrshaid, American Muslims for Palestine (AMP); Roula Allouch, Council on American-Islamic Relations (CAIR); Dr. Muzammil Siddiqi, Islamic Shura Council of Southern California (ISCSC); Dr. Zahid Bukhari and Dr. Mohsin Ansari, Islamic Circle of North America (ICNA); Mir Masum Ali, Muslim Ummah of North America (MUNA). Israel had installed metal detectors at entry points to the Al Aqsa Mosque compound in Jerusalem after two police officers were shot dead on July 14 and setting off what have been described as the bloodiest clashes between Israelis and Palestinians in years. (The detectors have since been removed.) Although the protests were widely characterized as demonstrating “Muslim anger” over Al Aqsa, often the subject of various Global Muslim Brotherhood conspiracy theories involving alleged Israeli plots and plans to destroy the mosque, the GMBDW reported last month that a group calling itself Europeans for Jerusalem” Foundation (Europeans for Al-Quds) posted a statement taking responsibility for the wave of protests in Europe centered on the Mosque. 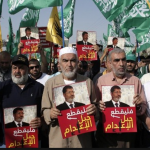 Although the group describes itself as an umbrella organization for dozens of institutions supporting the Palestinian cause and other pro-Palestinian organizations throughout the EU, the GMBDW reported that the groups leaders are in fact tied to the Global Muslim Brotherhood/Hamas. The President of the group is Mohammed Hanoun, identified by the GMBDW in 2010 as the head of the Associazione Benefica di Solidarietà con il Popolo Palestinese (AABSPP), the Italian Union of Good member organization. 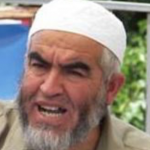 The UOG is a worldwide coalition of charities funding Hamas and headed by global Muslim Brotherhood leader Youssef Qaradawi and was designated by the US in 2008 as a terrorist organization. It is incumbent on the Umma of Islam to leave aside minor issues and side battles, and be concerned with the primary cause of Islam: the cause of Palestine and what the prisoner Al-Aqsa Mosque is being subject to,” Qaradawi wrote in a Twitter post on Monday. Also speaking at the 2016 USCMO conference was Abdullah Benmansour, last known to be the President of the Federation of Islamic Organizations in Europe (FIOE). 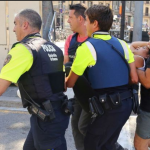 FIOE claims to be an independent organization representing the interests of Muslims in Europe but in reality is an umbrella group that comprises the Global Muslim Brotherhood in Europe and has its own history of incitement over the Al-Aqsa Mosque. 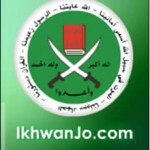 Promoting the Syrian Muslim Brotherhood in 2007. In 2007, Paying for French Muslim Brotherhood figures to visit US Muslim Brotherhood organizations. Participating in a 2007 conference of the Islamic Society of North America (ISNA). Funding a 2008 visit by delegation of Chinese scholars and religious leader to the International Institute of Islamic Thought (IIIT). 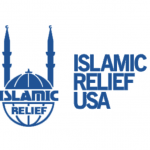 Funding a 2008 program that brought young professionals from the Middle East to visit ISNA. Sponsoring three Muslim professionals from Germany in a visit to the headquarters of IIIT. A scheduled keynote address by then Secretary of State Hillary Clinton to the 2009 annual conference of the Center for the Study of Islam and Democracy (CSID). In 2010 sending the director of Muslim Public Affairs Council (MPAC) to Europe on a speaking tour. In 2010, sending a Council on American Islamic Relations (CAIR) official to Mali to build ties with Muslim counterparts. In 2010, then Secretary Clinton meeting with the ISNA as part of an interfaith group centered on the Middle East. In 2012 bringing US corporations to meet the Muslim Brotherhood Egyptian President. In 2013, a State Department official appearing with representatives of the Muslim American Society (MAS) and the Bridgeview Mosque Foundation. In 2014, Principal Deputy Assistant Secretary attending a banquet in honor of Tunisian Muslim Brotherhood leader Rachid Ghannouchi. In 2015 hosting an Egyptian Muslim Brotherhood delegation.